The TDS field services team in Vermont has a lot to pat itself on the back for in 2016. David Colbert, manager of Field Services, received a letter of commendation from Norwich University in Northfield, Vermont after his team successfully installed more than 800 managedIP stations on campus this year. The team installed about 840 stations at the university, to be more precise. To get an understanding of just how huge a project that is, David said the typical managedIP system install in his area is between about 10 and 30 stations. The letter, written by Joe Morvan, the university’s director of User Services & Systems, provided a glowing review of the team, to say the least. 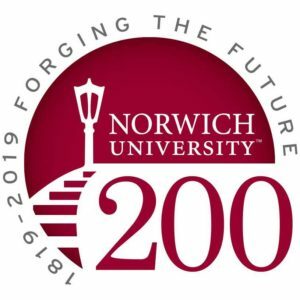 The Norwich University project has been in the making for years, David said. The history dates back to 2009, when TDS offered support to the university after its former provider ceased operations. From 2009 to 2016, TDS provided support and options to the university, while also maintaining the public branch exchange (PBX) phone system – consisting of just over 2,000 lines –that was already in place. Retirement of the PBX system – a large project on its own – began in 2014 when the school removed 800 lines from the dorms and converted all the administrative lines to managedIP. Earlier this fall the team began the next phase of the PBX retirement process that involved finding solutions to replace the analog phone lines for fax and credit card machines, elevators and emergency lines on campus. Today, 200 PBX lines remain in addition to the 840 newly installed managedIP systems. Once the last 200 analog lines are removed from the PBX, the old system can finally be powered down and removed, David said. As evidenced by the letter from Norwich University, this project was a positive and appreciated one. Great story TDS getting the job done. Definately one of the best provider’s in the country when it comes to Hosted Phone system sales, support, & service.